Everyone loves a puppy, until they have a major accident in the house or eat your favorite ottoman. That moment right after getting a puppy is a stressful and frenetic time, with long nights and crazy days, not to mention the incessant nipping, crying and whining. (Not to mention the puppy!) John Van Olden serves many puppy owners living in Dover and the Delaware Beaches and the surrounding region and we get consistently amazing results. Puppies bring people joy and that’s understandable. Just search for “puppies” on YouTube and you will see that puppies are and will always be exceedingly popular. But, there is also a lot of confusion and aggravation when it comes to raising a puppy–not to mention the responsibility that you have taken on for this young and growing animal. If you don’t get a puppy trained correctly or delay its training, you can end up with a dog that has some genuine issues. 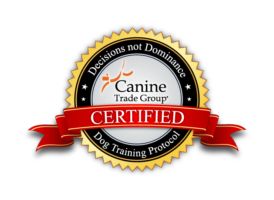 Professional puppy training if performed right is proven to be the #1 way to alleviate future dog behavioral problems! There are a wide range of puppy training programs on the market today, but the puppy training programs with John Van Olden have distinct advantages that you won’t find elsewhere. By finding the right puppy training program for you and your puppy, we offer several customized versions of our basic puppy training program. The puppy training programs with John Van Olden are designed for puppies of all breeds who are less than 16 weeks of age. If your puppy is older than that, he/she would be better suited for our in-home, commitment-based dog training programs. Whether your puppy is already living with you in your home, or if you’re planning to get a puppy in the very near future, we are the answer for you! We will build a strong connection and establish a rapport with you and your puppy in order to build trust and establish the bond of a lifetime. We Also Train Puppy Owners Too! How to show your puppy how to be calm, because hyperactivity surely does not have to be the norm! Above all, by commencing puppy training early on in your relationship, you can establish for a lifelong relationship of mutual trust and respect now and for the future. Puppy training is the quickest and most effective way to enjoy “man’s best friend” to the fullest. To learn more, take a quick look out some of our puppy training videos. For more information about our puppy training programs, please call John Van Olden Professional Dog Training at 800.649.7297, or fill out our contact form. We’re looking forward to hearing more about your puppy soon.